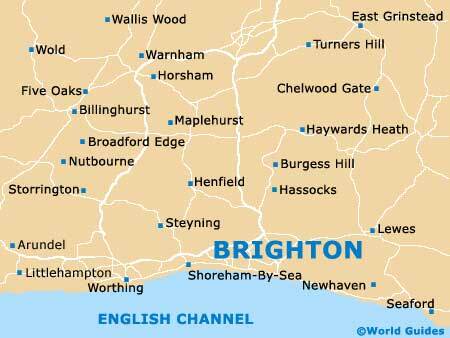 There is quite a collection of art galleries to be found around Brighton and Hove, with the Artists Quarter next to the seafront being a sensible first port of call. Tourists will also enjoy admiring the plentiful paintings exhibited at the Brighton Museum and Art Gallery, which is located within the Royal Pavilion Gardens and well worth a visit. The University of Brighton Art Gallery on the Grand Parade is one to look out for and stands just a short distance from the popular pub named Hectors House. Many other galleries in this seaside city tend to operate on a purely commercial basis, with paintings and photographs often capturing the scenic East Sussex coastline. The best of these include the Phoenix on Waterloo Place, the Hugo Barclay on East Street, and the Fabrica on Duke Street. The famous Artists Quarter, under the arches of the main promenade, is one of the best places to view art in the Brighton and Hove area. Lined with a large concentration of numerous galleries, studios, workshops and related shops, the Artists Quarter also features a number of Brighton gift shops. 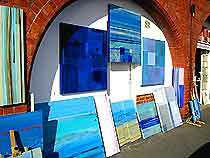 The Phoenix Gallery is a popular commercial art gallery in central Brighton. This venue regularly holds important exhibitions of paintings, drawings, sculptures, photographs, jewellery and pottery. The University of Brighton Art Gallery is a vast art exhibition space standing on the Grand Parade. With many temporary exhibitions by both leading artists and university students, this facility often features large installation pieces. Contact Gallery, in the Lanes region, is housed within the popular Brighton Media Centre and is home to many important exhibitions of modern art, paintings, sculptures and photographs. Fabrica Art Gallery stands on Duke Street, where it is known for its many unusual and interesting exhibitions all through the year. George Street Gallery, in the Kemp Town area, comes with a series of frequently changing exhibitions of art, which are a little on the small side. These tend to include contemporary and more traditional paintings. The Hugo Barclay Art Gallery is a commercial venue featuring many regular exhibitions of ceramics, stylish jewellery, glass and contemporary sculptures. Located in Hove and formerly known as the Old Market Arts Centre, The Old Market re-opened in 2011 under new management as a performing arts and exhibition space with a variety of workshops. The White Gallery resides within the Hove area, where it regularly features paintings by famous artists, such as Picasso and Henry Moore. Other attractions include frequent exhibitions of pottery, photography and jewellery. Gallery 73, in the Kemp Town region, is amongst the most lively in the area. With many temporary exhibitions of paintings and photography, Gallery 73 also features exhibitions of ceramics and sculptures. The Barlow Collection of Chinese Art can be found in the University of Sussex and features an extensive collection of Chinese art, ceramics, and sculptures. This important centre is located on the north side of the city, close to the Flamer train station.